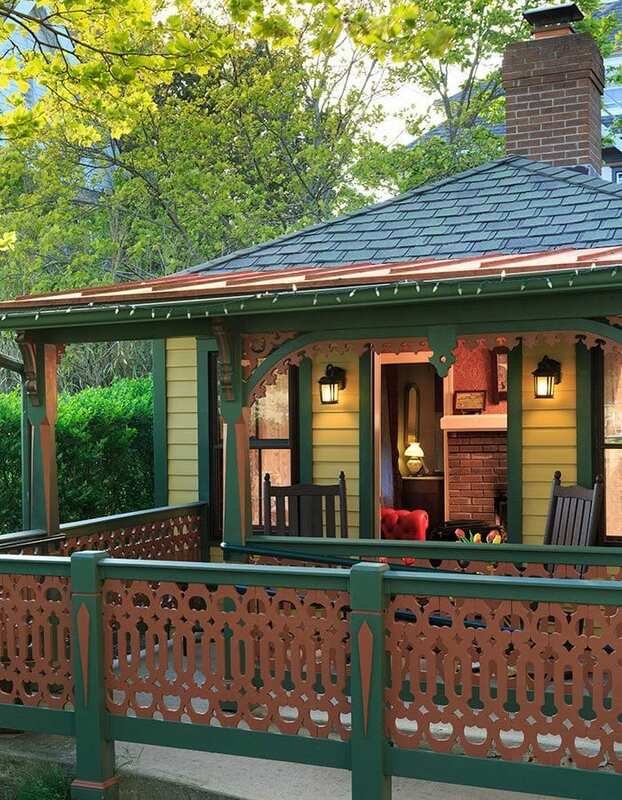 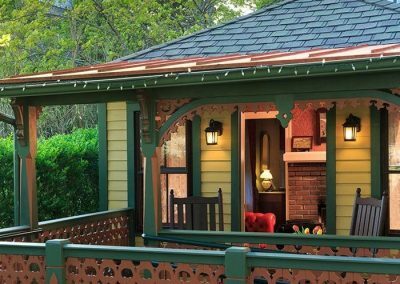 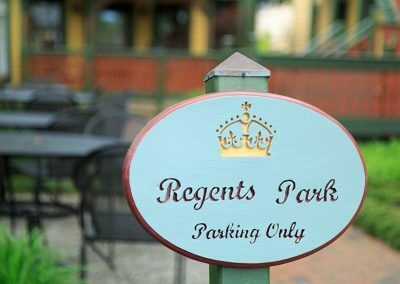 Named after London’s largest park, Regent’s Park is a charming luxury suite in a little cottage nestled among some of The Queen Victoria gardens. 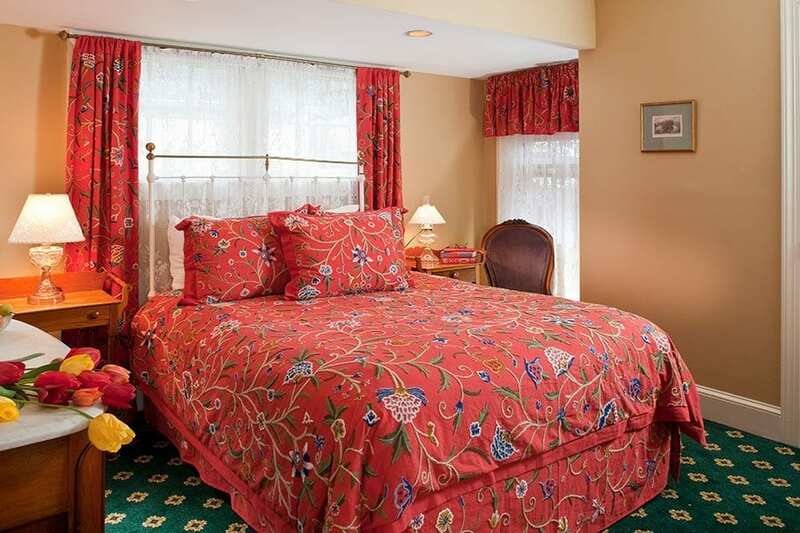 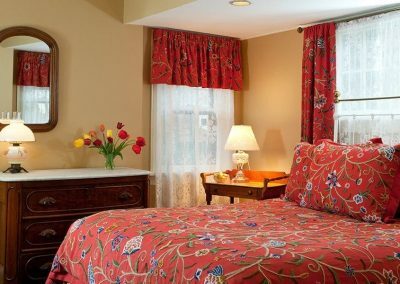 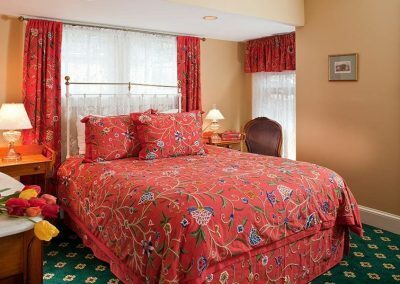 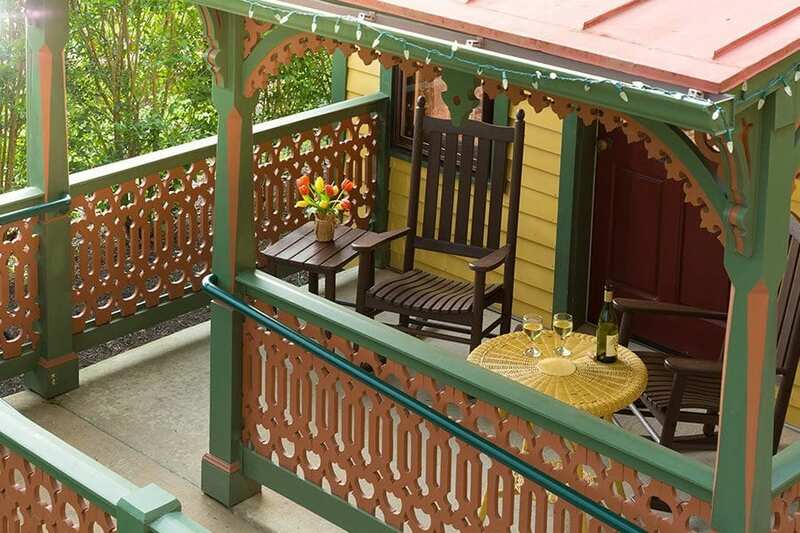 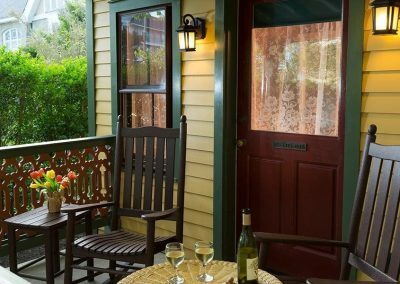 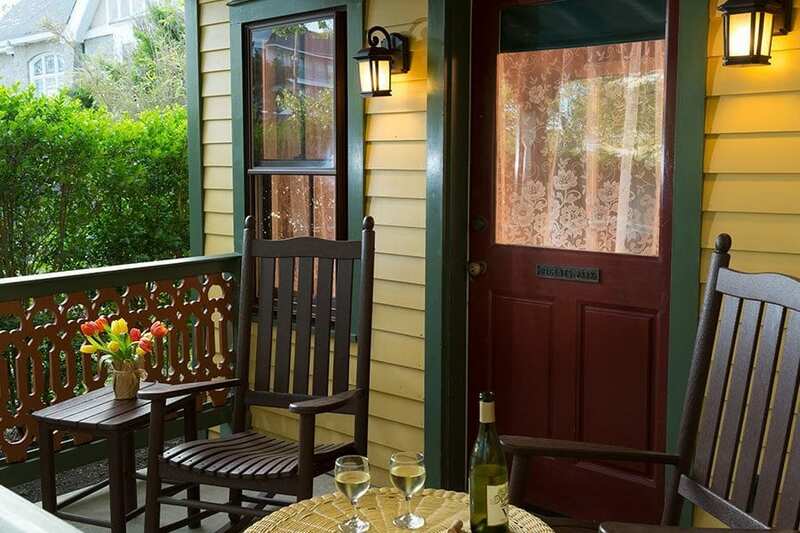 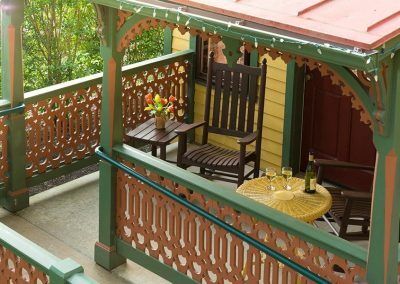 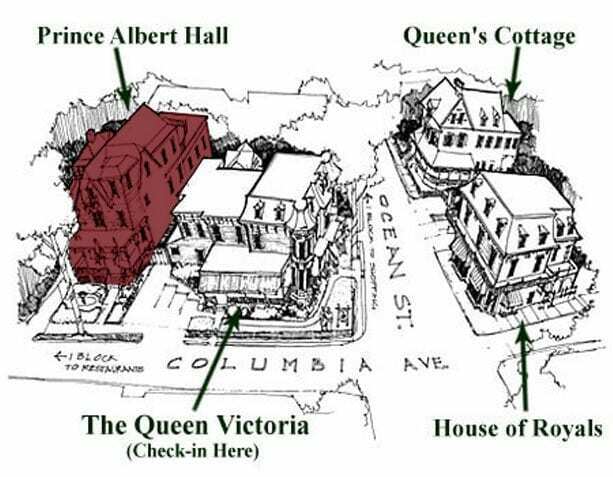 Our historic luxury Cape May B&B lets you step through your private patio festooned with rocking chairs into a sitting room with a romantic gas-log fireplace, comfortable, leather Chesterfield love seat and antique seating and a television with DVD player. You’ll appreciate the marble topped antique dresser in our New Jersey bed and breakfast. 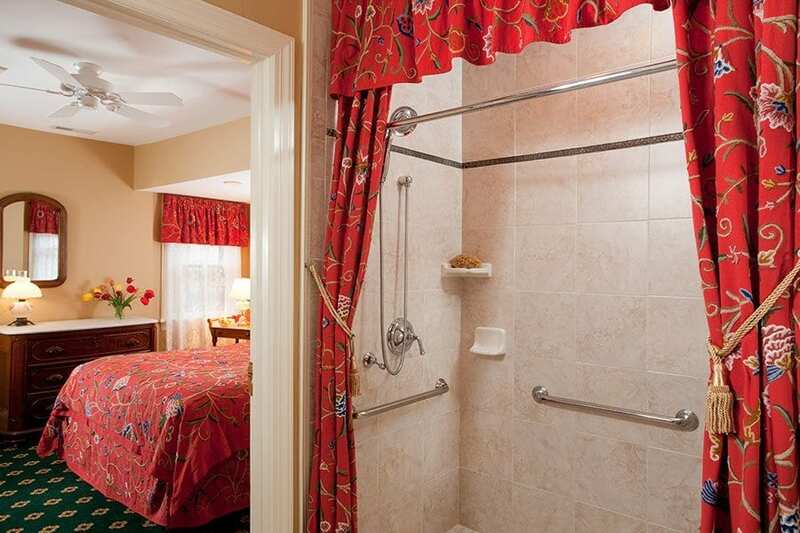 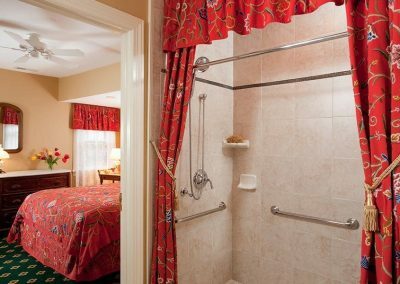 Wash away the stresses of the real world in the wonderfully large, luxurious two person, two head shower in your private bath as you prepare for a romantic evening at one of Cape May’s wonderful restaurants. 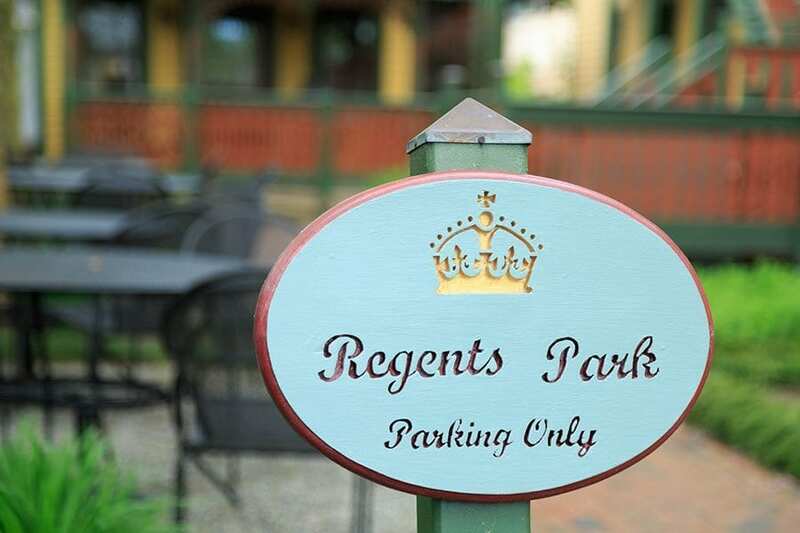 Regent’s park has every amenity you’ll need including television with DVD, a telephone and a mini-refrigerator to ensure your stay is comfortable.